Not going all up into it just now. Murder is murder, and we owe respect and a decent interval to the deceased. However, I’m saying that I have long had issues with French, and some other European, free- for-all-let-it-rip racist humor. I assume the black and Arab caricatures are rooted in colonialism. The anti-Semitism is home-grown. 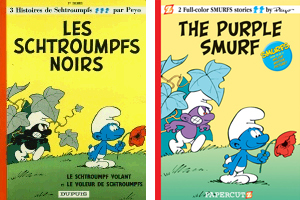 The steady background presence of casual racism from Tintin (ok, Belgian, but big in French nurseries) to all sorts of ads (Y’a Bon, of my youth, hung in until 2006, I see) and cartoons, political and otherwise, is too easily dismissed as freedom of whatever with no accountability for content. Of course they should be free to publish whatever they want, but don’t pretend that repetitious racist schlock is sharp-edged political discourse or subversive satire. 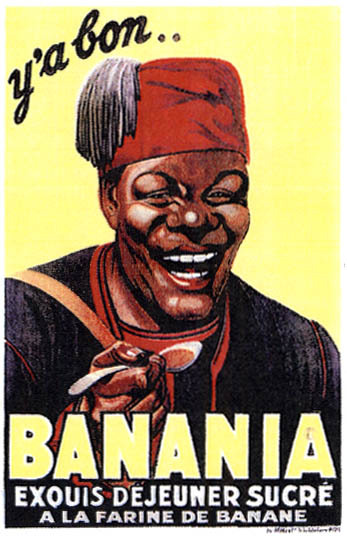 So Josephine Baker’s bananas make me wince, but she made up for it by risking her life during the War. This entry was posted in French cartoons, Hebdo, Political Cartoons., Racism and tagged Charlie Hebdo, French Cartoons, Political Cartoons, Racism. Bookmark the permalink.